Arrange a luxury SUV transfer in Maui. 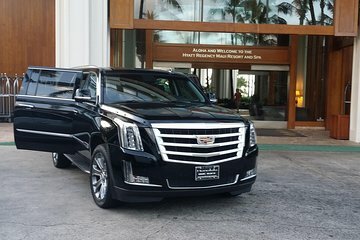 Available as an arrival or departure option, this transfer service is bookable from Kahului Airport, the Maui cruise port or hotels or private residences area in the Kihei, Wailea and Makena neighborhoods. Baggage assistance is included and the vehicles seat a maximum of four people.